When I first started this blog back in March 2014 I had pretty much written off The Who (and pretty much any of the bands from the 1960s) as a bit sad and not exactly relevant to my own musical taste. I have been proven wrong time and time again, but I don’t think an album has shown just how stupid that line of thinking was as much as Who’s Next. 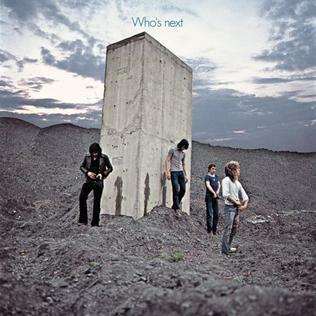 A few weeks ago I wrote about how much I enjoyed ‘Won’t Get Fooled Again’, which is the closing track of Who’s Next. I enjoyed how this track was a development on from early Led Zeppelin tracks like ‘Whole Lotta Love’ and was the just right amount of hard rock for me to enjoy it, but not too much that it stops being melodic (at least to my non-metal trained ears). It’s interesting to note how Who’s Next was the result of a failed attempt to produce a new rock opera – which would have been their second after the very successful Tommy. Much like The Beach Boys’ Smile, this failed rock opera resulted in a number of songs for future albums by The Who. My favourite, and likely one of the most famous, is Who’s Next‘s opening track: ‘Baba O’Riley’. What’s amazing about this opening is that synthesizer in the background. This is a song from 1971 and it features such a dominant use of an instrument that wouldn’t come into its own for another decade. In ‘Baba O’Riley’ I can also hear a bunch of other rock songs – most notably ‘You Ain’t Seen Nothing Yet’ – which means that I have not been able to get parts of it out of my head for the last two days. Whilst the rest of Who’s Next is still a great album it is really dominated by the tracks that bookend it. The more I do these albums, the more I find out how it makes sense that certain tracks became known as the famous ones – that doesn’t detract from the experience of the whole, just makes it that much harder to get to the second track. Time for some more things from the Asian food box that I got the culantro from. There is still plenty more to come, but they’re all longer lasting things that I can properly research for later. Unlike today’s herb and fruit, which are both perishable. Much like the culantro, rau ram is noted for being similar to coriander. It’s one of those weird things that I have found whilst following this food list – when it comes to trying these new and different foods there is nearly always a known food to relate it to. The only thing that comes to mind where I had real trouble linking it back to something concrete was the feijoa I had four years ago. However, even then I made a vague attempt. I guess it just speaks to the diverse selection of food available instead of there being a limited combination of chemicals. 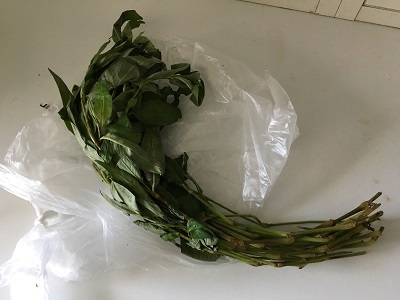 Anyway, since rau ram is also known as Vietnamese coriander it makes sense to make use of this herb in the same way you would regular coriander. After a bit of searching around I found this recipe for a fish stew that used rau ram. Compared to the culantro I found the rau ram really disappointing. It did say in the recipe that the end result could be soapy… and it was soapy. The reason for the soapiness was the rau ram and that’s something I could taste in the raw leaves. There was a hint of the coriander aroma there, but it was weak compared to the championship knockout of the culantro. I was going to write up the sapodilla a week ago but, as you may be able to see from the picture, it wasn’t completely ripe yet. You know what happens when you try to eat an unripe sapodilla? Well, it’s like one of those scenes from a Looney Tunes cartoon where they eat so much alum powder that their mouth seizes up. It just takes all the moisture from your mouth to the point that you can feel individual taste buds screaming for water. So, I wrapped the cut sapodillas in clingfilm and waited until they ripened. Four days later and we had nice squishy fruit that didn’t want to kill us. Instead the flesh was so so sweet and I could easily scoop it out with a spoon. 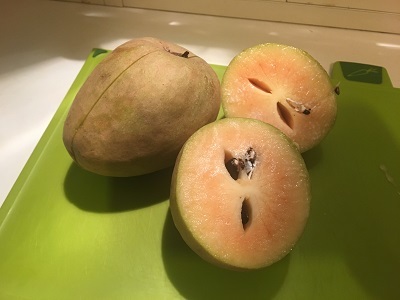 For me the taste was like if you saturated a pear with honey and then added some condensed milk – worlds apart from the taste of the unripened fruit. In recent years, Korean food has become one of my absolute favourites. It’s where I went for my recent leaving meal at work, it’s what I ate for New Year’s when I was up in London and it is something I eat for lunch with some degree of regularity. Thanks to it’s rich history there is a huge amount of dishes to pick from, but for this post I decided to cook things that would be considered recent additions to the cuisine. With both North and South Korea to cook for I was presented with an opportunity to do the same cuisine twice. So, rather than just make japchae or kimbap for both countries I thought I would look at pre-Korean war dishes for the North and post-Korean dishes for the south. This doesn’t help round down things too much, but at least both countries will be distinctive (which is more than I can say for my fruitless attempts to find recipes for Swaziland). Budae-jjgae (or Army Stew) is an interesting example of Korean fusion cuisine that has become widely adopted within South Korea. 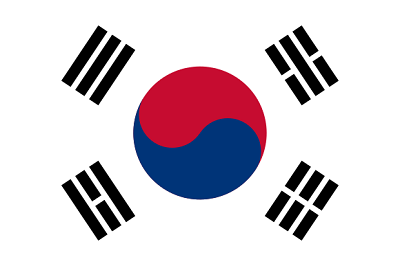 It came about just after the Korean war where, due to local food supplies being scarce because of war, supplies from the American army bases were used alongside regular Korean food. 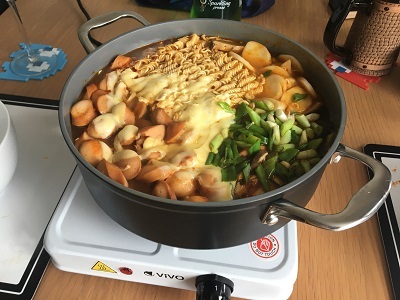 In this version from the MyKoreanKitchen website (made using a brand now shallow pot) contains Spam, frankfurters and cheese slices alongside Korean rice cakes, instant noodles, kimchi, tofu and three types of East Asian mushrooms. Other versions can also include baked beans, however this felt like a bit of overkill considering that there was an entire tin of Spam in the pot. This dish feels and looks a bit like a weird mish-mash, probably because it is, but it feels like the ultimate warming one pot dish for the autumn or winter months. I halved the chilli flakes in my version (as I could only get local ones), which I am relieved to have done as this could otherwise have been a bit too spicy. For me, the stars of this dish were the shiitake mushrooms, the frankfurters and the broth – although we were fighting over the slices of spam. Considering the caloric content of this dish, it really isn’t something to be made too often. 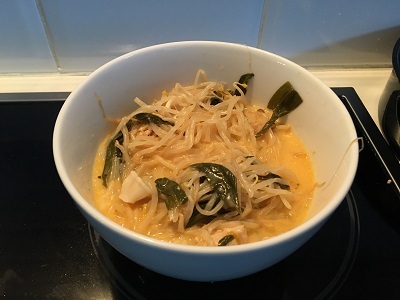 However, it is definitely something to make when I have company round… or at least some variation of it as I have 900g of frozen Korean rice cakes to use up. I really wanted to make something from the Maangchi website and her recipe for Matdongsan caught my eye. This is more like a homemade version of a popular sweet snack than a proper dessert, but they looked so crunchy and inviting that I just had to make them. Also, their name means something along the lines of ‘small mountain taste’, which sounds like a powerful boast for a cookie that resembles a honey-glazed cocktail sausage. Despite this weeks misadventure whilst making them (whereby the front of the cutlery drawer fell off) these were a delicious cookie. In the recipe you both fry and bake them, which results in a pleasingly crunchy texture with an audible snap as you take that first bite. You also have the crunch from the peanuts and some sweet stickiness from the rice syrup coating; both of which made these incredibly moreish. Although we were full to the brim with budae-jjgae that did not stop us from polishing all the cookies that I hadn’t previously eaten in the name of ‘taste testing’. I have it on my husband’s authority that they were good with coffee, although I didn’t need a beverage to enjoy fist after fist of them. Neither of these dishes are particularly diet friendly… but I think there are plenty of opportunities for that in the next 190 countries. I have yet to decide on my next country, but I want to make sure I cover all five continents in the first five posts – so it’ll have to be either African or Oceanian. At the moment I haven’t thought far enough ahead as to the identity of the next country so, until I make my decision, masitkke deuseyo! When I was about 5 or 6 years old the big Christmas toy was a Tracey Island playset from Thunderbirds. I remember this toy being so in demand that the children’s magazine show Blue Peter even did a segment on how to make your own Tracey Island, which I actually saw when it was first aired. However, I somehow managed to have not seen a full episode of Thunderbirds until nearly two years ago. It’s not like I was avoiding it, but it was a lack of exposure since the only Gerry Anderson shows I remember being on the TV were Stingray and Captain Scarlet. 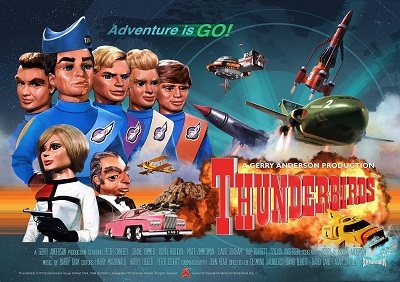 This is in stark contrast with my husband who is a bit of a Thunderbirds fan, which is how we ended up watching this as our first non-random TV pick in years. I think both of us were expecting me to think that Thunderbirds was just okay, but would be happy enough to abandon it once I’d seen our required number of episodes. On the contrary, I actually started to properly enjoy it. One thing that I really did not expect is that, other than the shortened second series, these were hour long episodes. Since this is a family show made with marionettes I had expected this to be shorter and a lot more childish – instead there were a lot of adult themes and, at times, fairly complex storylines. I mean, I cannot imagine a family show being made now that features smoking, gambling and an interesting espionage storyline. Another misconception that I had going in, considering that this is a show about secret rescue agency with a lot of cool equipment, is how human it was. Similarly, I was also expecting the characters of Lady Penelope and Parker to have featured in more episodes – turns out they were more like breakout characters that started out as a comic relief and became beloved characters. So yea, I actually really enjoyed watching this show and will likely be completing the rest of the episodes before starting on the next one. It’s weird how this became one of the better discoveries from the 1001 TV Shows list. Right so I have been dancing around cooking this woodcock for nearly 4 months now. I guess I just didn’t want to deal with decapitating and eviscerating a small bird, especially one where I couldn’t help but feel just how soft the feathers on it’s head were. 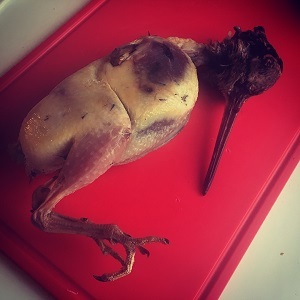 Still, this is all part of cooking and getting to know where your food comes from – both things that were not in my head when I started stroking the head feathers and feeling the urge to apologise. Once I took the biggest knife I could find, lopped off the head and stuck that in the compost bin – everything was fine. I snipped out the spine with some scissors and removed the entrails with my fingers. This may be the second time where I have seen real life intestines; the first time outside of a science classroom. 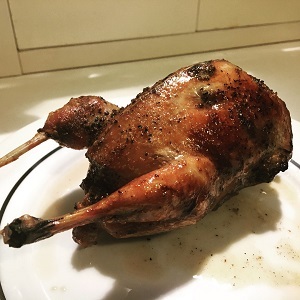 Following the advice from Game-to-Eat, I fried the sides of the woodcock before roasting and resting the bird. The whole time I was cooking this, I really understood why so many websites talk about having 1-2 woodcocks per serving. This really is a little bird with not too much meat on it so, much like with the teal, I went Henry VIII on the carcass. All the meat on this bird is dark meat, however the gaminess isn’t too overpowering. Like a number of these other game birds, the taste has a livery quality to it and the meat is actually quite dense on the bone. 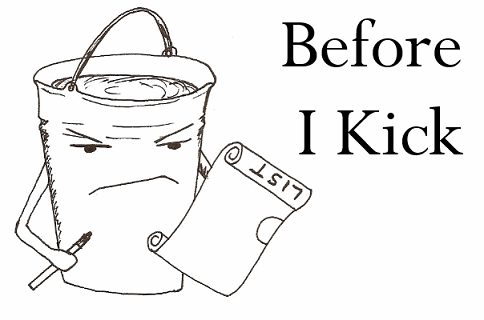 If I was to make this in the future, I would definitely make some sort of sauce for it. Since I only had one of these birds I didn’t see the point of doing something other than roasting it. It might be a while before I get my hands on more game meat seeing how, as I write this, I am six months away from the beginning of the next season. Hopefully I’ll be able to find snipe next time around; I’d hope for ptarmigan and golden plover, but I don’t want to be too greedy. Another week, another box from a food website. I’m not going to make too much of a habit of these because it would get a bit too expensive, but it means that I’ve been able to get some authentic ingredients together for my next world cooking country (which will be going up in a few days). Culantro is probably one of the more annoying herbs to search for online because phone auto-correct always changes it to cilantro (or coriander leaf to the rest of us in the UK). This similarity in name is no accident. Not only do culantro and cilantro belong to the same family of plants (Apiaceae – also known as the parsley family), but they also taste remarkably similar. The key difference between the taste of culantro and cilantro is potency. When eaten raw, the culantro has a very strong cilantro taste. However, I’m not going to just eat a plate of chopped culantro leaves – so let’s get to cooking. Another key difference between culantro and cilantro is how well culanto can last through the cooking process. 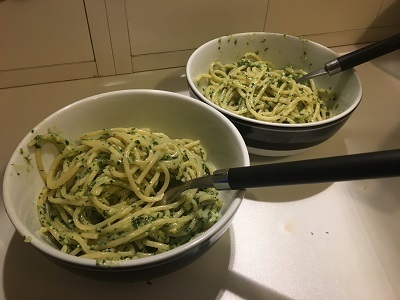 I didn’t actually cook with the culantro, but ended up making a culantro pesto with some pecorino and a fair bit of garlic. Having eaten this pesto I really wish that culantro was more widely available – I didn’t exactly have enough for this recipe as it is, so I had to really cut down on the spaghetti. 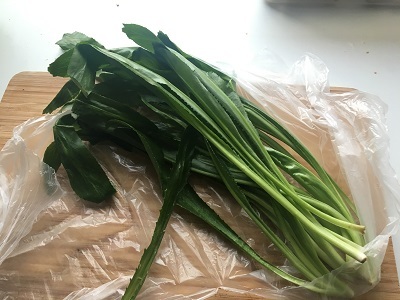 It feels like this really is one of those herbs that could catch on in the UK if a celebrity chef really got behind it – then again there are so many things on this food list that would be worthy of wider renown. It’s been a while since I last watched a film because of an episode of the You Must Remember This podcast, but having heard about the (weird) life of Gloria Grahame I knew that I had to see her in action. Since In A Lonely Place received a special shout-out, as it was shot when Gloria Grahame and then-husband Nicholas Ray were going through a separation (after he caught her in bed with his 13-year-old son, who she would later marry). The stories of what was going on behind the scenes of In A Lonely Place already make this an interesting film to watch; the fact that this film also features possible career best performances from Humphrey Bogart and Gloria Grahame in a quintessential film noir classic is an added bonus. 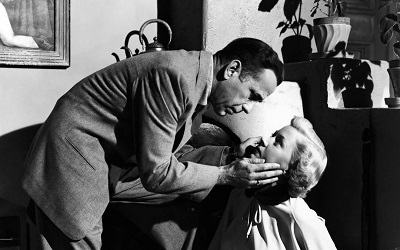 At the heart of In A Lonely Place is suspicion and how it can completely ruin people’s lives. For most of the film we see the developing love between Bogart’s violent writer character and his neighbour, played by Grahame. They are the architypal star-crossed lovers where their distrust for each other – her’s because he is suspected of murder, his because of what he perceives as actions signposting her infidelity – is what ultimately destroys them. However it’s worth remembering that, at every point in this film, we are made aware that Bogart’s character has a history of violence. It’s also signposted that he has previously broken the nose of one of his girlfriends… so despite the fact that it is distrust that breaks them apart, I cannot help but feel that she made a lucky escape. Whilst there are many light moments in this film the two most memorable scenes are ones imbued with violence. Apart from the film’s ending, which I won’t go into, the most memorable scene is when the two leads are driving home after a beach picnic goes sour. En route, Bogart’s character gets into an altercation with another motorist… where he nearly kills the other guy by bashing his head in with a rock. All these breadcrumbs and violent outbursts help to create this palpable sense of uncertainty. Both the audience and Grahame’s character cannot help but become more and more suspicious that Bogart’s character did indeed asphyxiate a woman and dump her body from a moving car. The finale is explosive and whilst it isn’t as shocking as the original ending, one cannot but feel a palpable sense of dread. With In A Lonely Place ticked off, I have now seen three of the four Nicholas Ray films on the 1001 list. All I have left to see is Rebel Without A Cause, which is arguably one of the most iconic films to come out of the 1950s. How will that stand up to In A Lonely Place, Johnny Guitar and Bigger Than Life? Who knows, but it certainly has a lot to live up to. Thriller is one of those albums where I’ve probably heard all the tracks separately, just not necessarily all at once and in order. I mean, this is an album where seven of the nine tracks were released as singles (which is insane when you think about it) and most of those singles were incredibly successful. 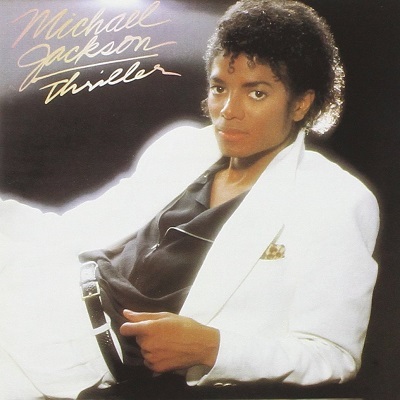 An album whose middle three tracks are ‘Beat It’, ‘Billie Jean’ and ‘Thriller’ really deserves it’s high placement in the list… right? I think that the big thing that I have learned from this albums list, and music listening in general, is that it is a rare thing to have a great album without a few skippable tracks on it. For me, there are two of these on Thriller: the final track and the terrible third track ‘The Girl Is Mine’. There is something so mesmerising in such strange track as the latter one, which is a duet between Michael Jackson and Paul McCartney. It manages to just about skirt around cringe until the poorly acted spoken exchange at the end. Seriously I do not know what they were thinking. And then you get to the middle three, which may be one of the largest contrasts in quality that I have ever encountered on an album. How do you go immediately from ‘The Girl Is Mine’ into ‘Thriller’? It boggles the mind somewhat, but I guess that couldn’t exclude a single from the album, especially one that featured a former Beatle. Then again, there’s the rest of the album which is great example of how a lot of eighties pop borrowed from disco and funk (just like Prince did with 1999 and Purple Rain). It’s also really interesting to see how Jackson’s sound matured from Off The Wall and I just mean in his voice which is transitioning towards a rockier sound. I’m glad I finally got around to listening to this. Probably worth my time finishing off the Top 25 so I can see which albums Thriller counts as neighbours. After a unsuccessful Little India fruit search I was wondering how I’d be able get my hands on a fruit like bael without having to fly to the other side of the world. Leave it to Amazon Marketplace to surprise you with random products from (I’m assuming) a Thai food company. There are many ways to eat bael, which is fruit from a tree sacred to Hinduism. Since I couldn’t get my hands on fresh bael (which is fine with me as I don’t have a machete to peel it with) this pack chock full of dried slices really was the perfect compromise. 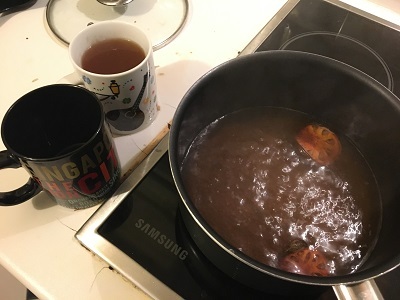 I followed a guide I found online that said to use 2 cups of water for every slice of dried bael fruit, then boil for 5 minutes before serving. Personally I think I could have done with some more fruit in the pan to get a proper idea of the taste… but that’s something for the future. Also, I read on the same page about how bael leaves can be used to induce an abortion, so I figured I might as well play it safe on my first tasting. The tea itself was a bit weak, but I could get a real idea of the taste of the bael fruit. 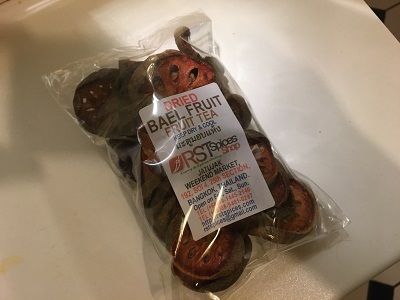 There is a refreshing sourness to the bael tea that was really quite pleasant. Apparently it’s used as a herbal treatment for colds due to the high levels of vitamin C, so it’ll be worth keeping this around for the winter. With a starting date of 1917, it’s going to be difficult to find an older comic that is as easily findable online. Back in its day, The Gumps was a very popular syndicated comic about a middle-class family and their friction. It’s said to straddle the world of the comedic and melodramatic, so it should be perfect for me. Right? Well, no. I don’t know if it’s the comic not ageing well or my not enjoying the somewhat longwinded way The Gumps goes about storytelling, but this comic really didn’t do much for me. It’s an interesting idea to have a comic with protracted storylines that spin out common/mundane topics. The problem that I had is just how long these comics take to reach a punchline and, even then, those punchlines don’t always work. 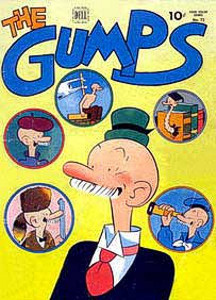 Still, this is an interesting part of comic history as The Gumps was one of the comics that helped to spearhead the idea of the syndicated comic rather than exclusives. It’s something that would have likely happened eventually, but credit where credit is due.